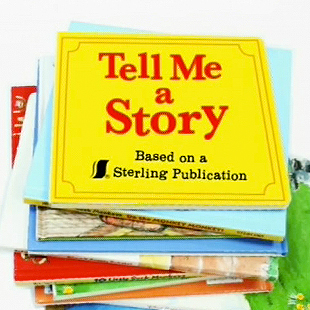 “Tell Me a Story” and Barnes & Noble bring the pages of Sterling Publishing’s children’s books to life, making reading aloud a multi-sensory experience. In this animated series, a narrator reads each story as viewers leaf from page to page of exciting tales like Baby Can’t Sleep, How Will I Ever Sleep in this Bed, and Silly Animal Mix-Ups. See what time Tell Me a Story is playing!